The Mátra hills, and the wine region that stretches among them, are about 100 kilometers east of Budapest. Along the highway the region is closer than Eger and Tokaj. But even though Mátra is actually Hungary’s second largest winemaking region—with about 7,500 hectares of vineyards (compared with Tokaj’s approximately 6,000 hectares)—it’s an under-the-radar region, which many Hungarian wine lover’s haven’t yet explored. 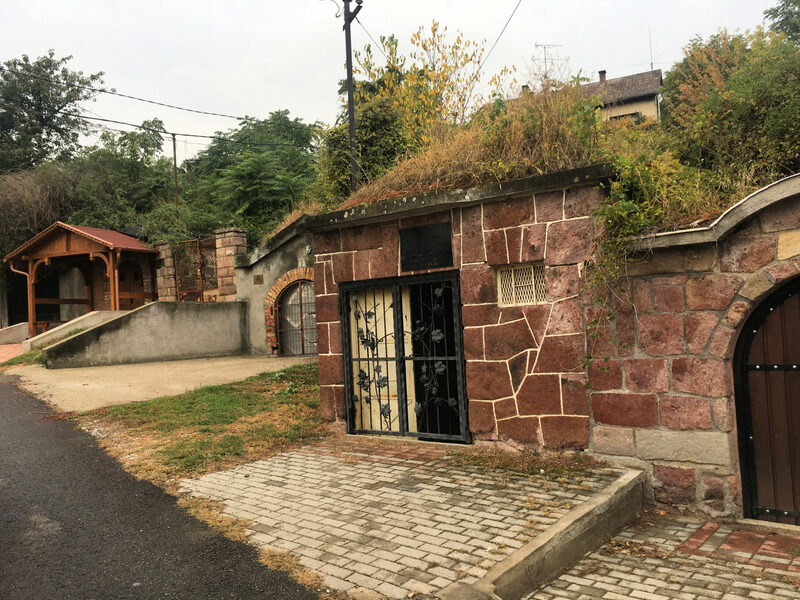 It’s also one of the oldest regions, where wine production started way before the Magyars arrived, making it more than a thousand years old, with an unbroken continuity of wine. 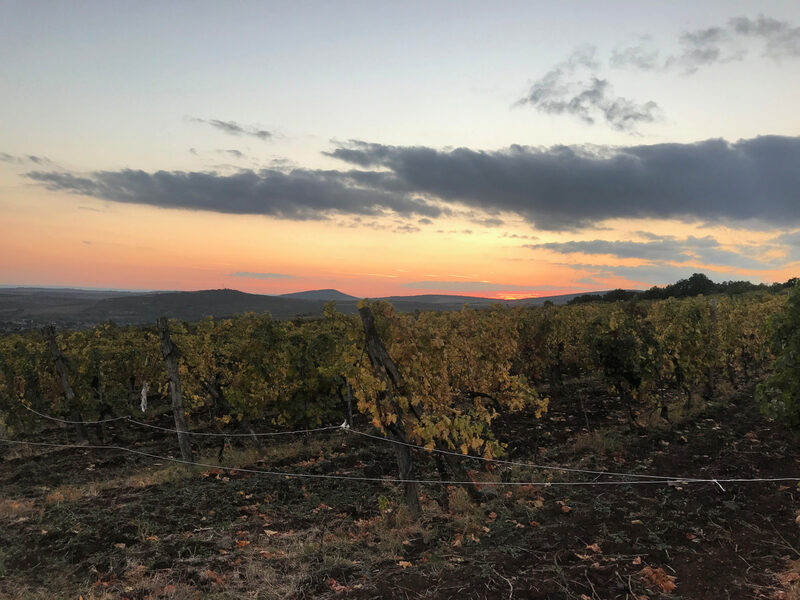 I’ve traveled to all of Hungary’s other 22 wine regions, but I only recently set out to explore Mátra during a day spent visiting some of the region’s most interesting boutique wineries. Mátra played an important role in wine production during the Communist era. Large areas of vineyards were planted here, and the focus in the regional coop was on mass produced table wine (as it was all over Hungary). As a result, Mátra accounted for 40 percent of Hungary’s wine export in the 1980s. Then the changes happened, and the large, state-owned wine-making monster was privatized by a handful of companies which still account for the majority of the region’s production. We’re talking about large wineries making good quality and good value wine that supply a number of supermarkets. In this way Mátra’s post-Communist wine history is somewhat different from most other Hungarian wine regions. Elsewhere smaller, family-owned businesses took the lead, making small volume, but very high quality, terroir-focused wines. Even today Mátra—this reserved and introverted region—produces about one-third of the wine that Hungary exports. And that wine comes from the region’s big players. Before the phylloxera struck Europe in the 19th century and devastated the wine industry, Kadarka, Furmint, Góhér, and Purcsin were the region’s signature varieties. When vineyards were replanted in the early 20th century white grapes became more dominant and Kadarka like other old traditional red varieties slowly became insignificant. 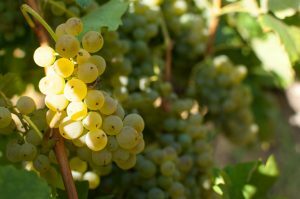 Today the region’s production is 70 percent white, and the list of grapes grown here is lengthy. Olaszrizling, Irsai Olivér, Hárslevelű, and Szürkebarát are amongst the most important whites, while Kékfrankos, Turán, and Pinot noir are common reds. But you’ll find anything here, really. 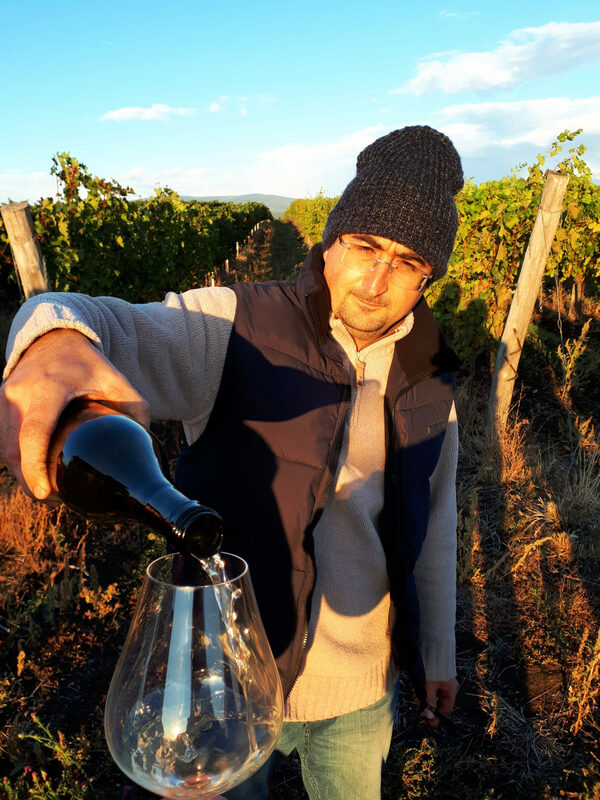 Located in the small village of Abasár, Levente Major is a full-time winemaker, which he also somehow combines with teaching at the local elementary school (where he also happens to be the assistant principal). He’s a busy man. 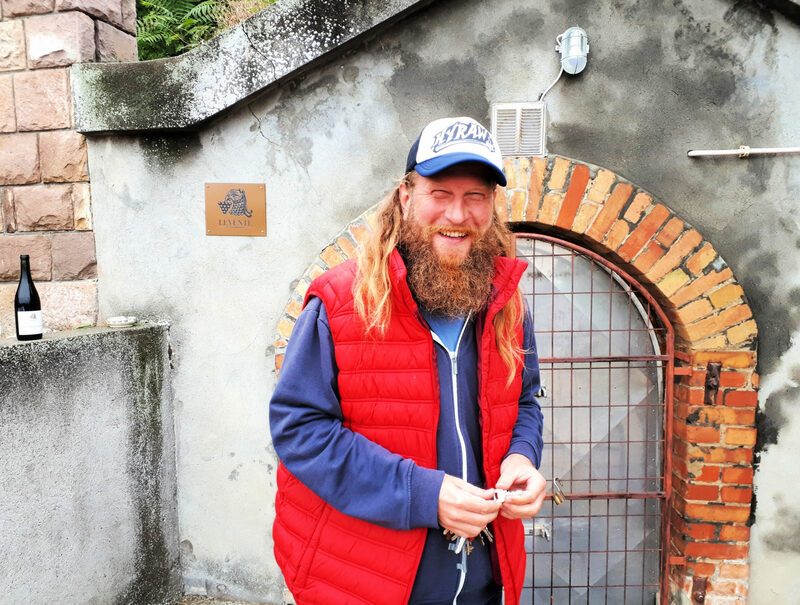 As we tasted through his wines with him, it also turned out that Levente is a philosopher, a geologist, a historian, and a self-proclaimed Viking at heart. It was clear that everything he does, he does it with his full dedication. Levente has a traditional approach to wine. He believes that less intervention in the vineyard and the cellar is best, and he goes to great lengths to keep his vineyards healthy so that he does not have to intervene. He doesn’t plough his vineyards, and he likes to keep the grass 15 centimeter high. He only buys vineyards where there is a good amount of wind— so that the wind keeps the air fresh and clean and the grapes stay healthy. He doesn’t use any pesticides. Harvest time is determined on based on whether the grapes taste perfectly ripe. When his kids start eating them, it’s time to harvest! 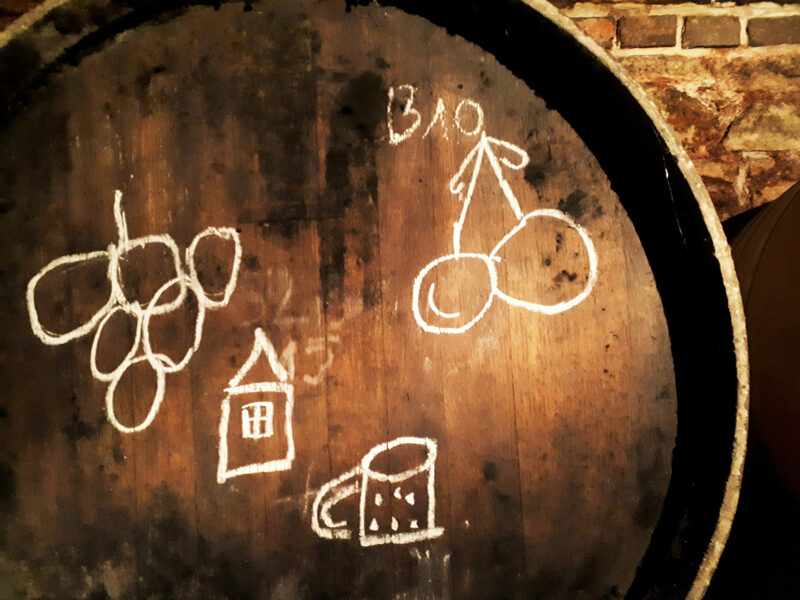 This philosophy continues into the cellar. 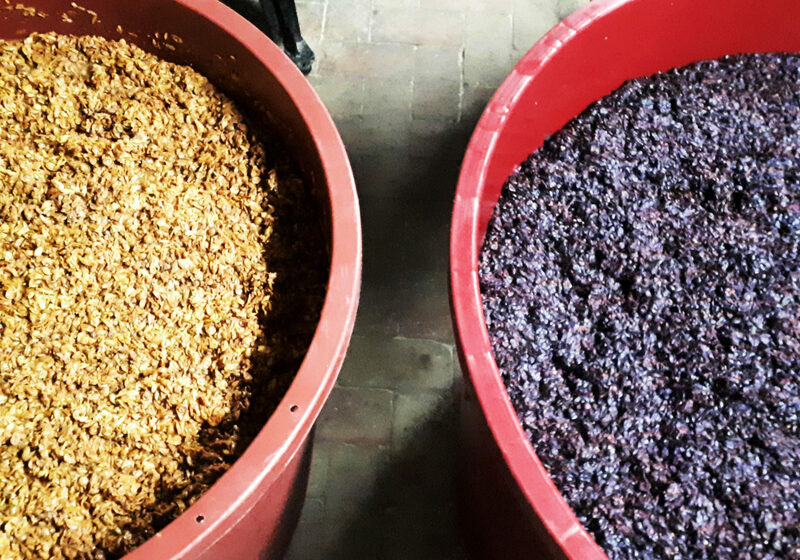 Grapes are de-stemmed, crushed, and then left to ferment at their own pace in open vats and used oak barrels. No cultured yeast is ever added. A big chunk of Levente’s portfolio is Olaszrizling, including single vineyard Olaszrizling from the Szent Anna and Saár hills. Levente’s Olaszrizlings are clean and complex, with elegant fruitiness. 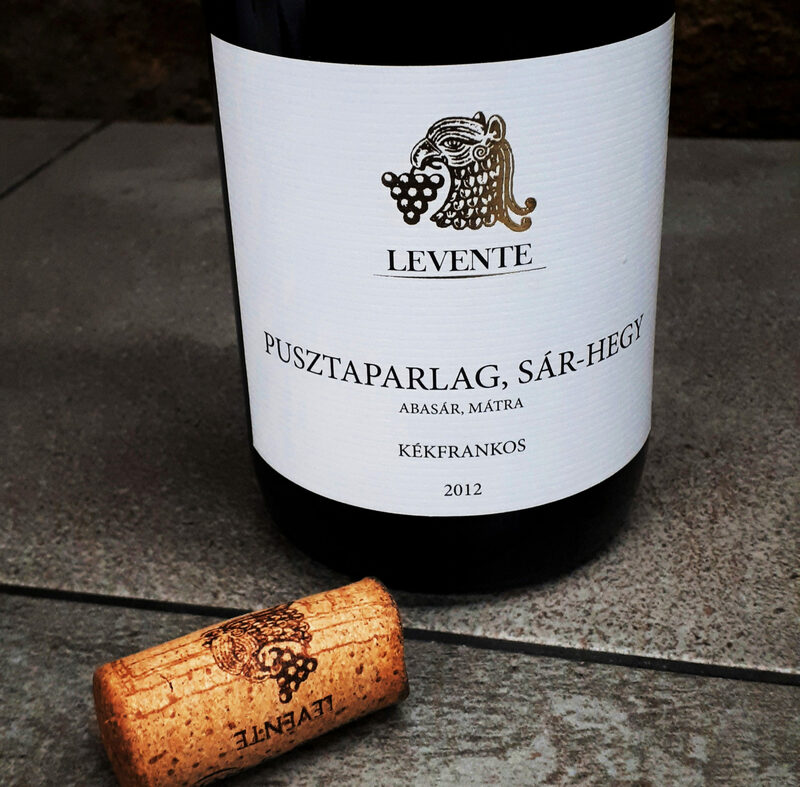 All of Levente’s wines are aged in used oak barrels, including his battonage Irsai Olivér. Yes, he makes an Irsai Olivér that is barrel-aged and battonage! We tasted the one from 2016. Even after the barrel aging, this wine has a slightly perfumey character, with chamomile, herbal notes. 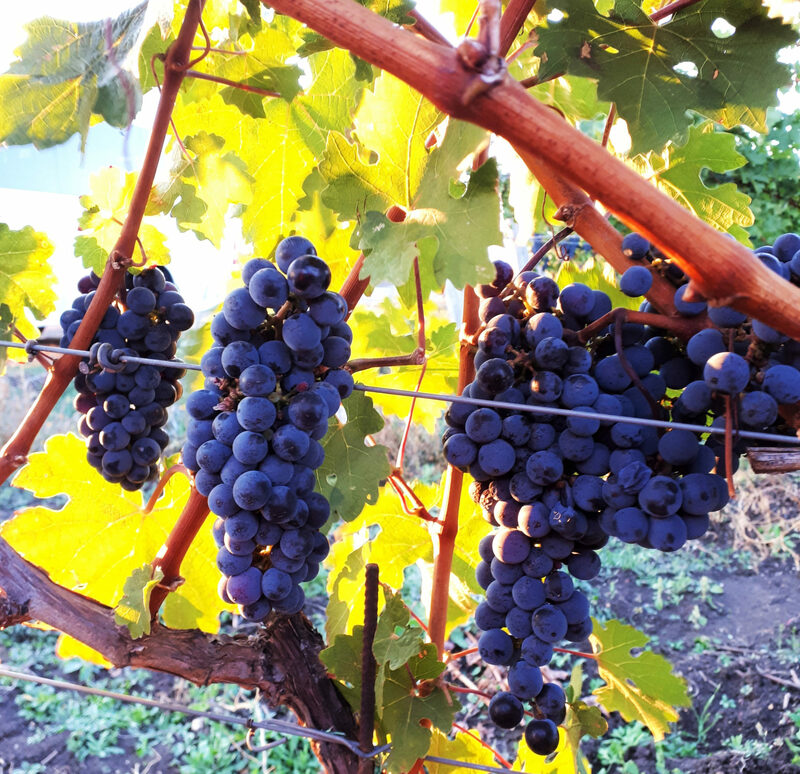 Winemaking has been running in the Csernyik family for five generations. Located in Gyöngyöstarján, which is the unofficial capital of the wine region, the Csernyik winery works on seven hectares of vineyards. 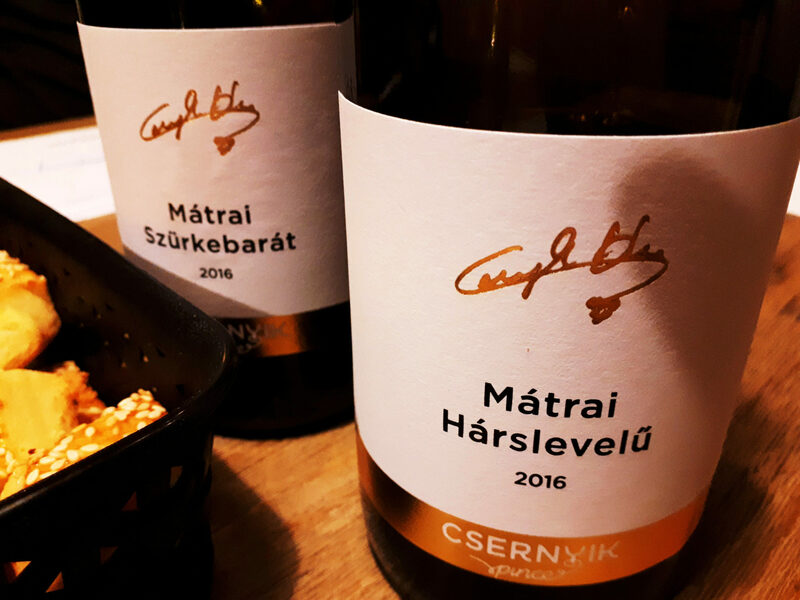 István Csernyik and his wife Enikő focus on making top quality wine, while István’s dad focuses on making and selling table wine for the locals. 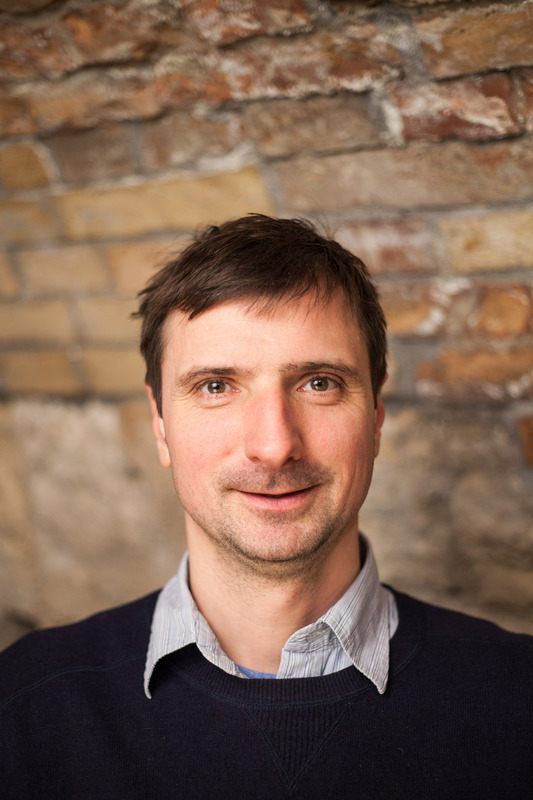 István has great respect for all aspects of wine making and viticulture. He’s been involved in wine making since he was a kid, and he now makes wine from ten different grapes grown at the estate. For his easy-drinking wines he uses cultured yeast and steel or plastic tanks, while his more serious wines undergo spontaneous fermentation and oak aging. I was impressed with his range of wines—particularly the Hárslevelű and the Zenit—all flawless, professional, and well made. But Csernyik’s Turán (a Hungarian hybrid variety) was one of the great discoveries of this day of tasting in the Mátra. It was barrel-aged and tasted of dark berries and cherry juice, with a unique floral aroma. “It’s reminiscent of some of the great petit verdots from Napa,” commented a colleague as we tasted these wines together. Just a little more than an hours drive from Budapest, Mátra, one of Hungary’s most scenic wine regions, is an ideal place to head for a day trip to taste some of these unique wines. Located within Hungary’s highest hills, there are also plenty of opportunities for hiking and sightseeing if you have longer than a day to spend. 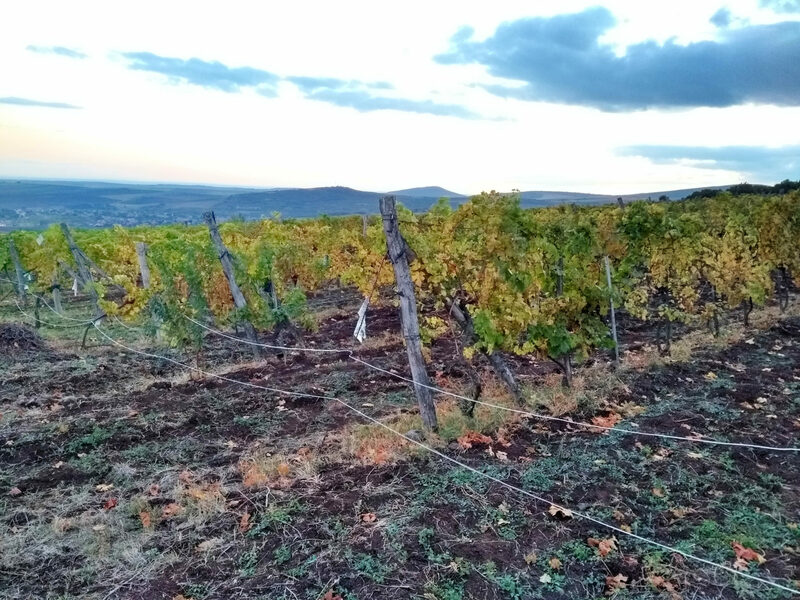 Mátra’s larger wineries have already been successful at selling big quantities of wine, but they haven’t been able to create a buzz for the region and turn it into a known wine destination. There is big potential here for this new wave of family wineries, who are hoping that through their wine they can draw more attention to these special vineyards, high up in the hills, whose volcanic soil allows them to produce stand-out wines. For me the best part about delving deep into the wine world is the history that accompanies the delicious wines. This time that history was also personal. We visited Mátra on an unseasonably cold September day. As we drove through the hills around Gyöngyöstarján we visited to vineyards like Gömöri, Papjuss, and Gereg. The pretty Gereg vineyard is in the hills overlooking the town of Gyöngyöspata, which happens to be the village where my mother was born. It was also from here that in 1944 my grandmother strapped my mom (aged four) to her back and left on foot. My grandfather had just been taken by the Russian troops, and my mom would never see him again. They left with hopes to find peace and safety, and never returned there to live. Growing up hearing this story is, perhaps, why I never ventured here before in search of wine. 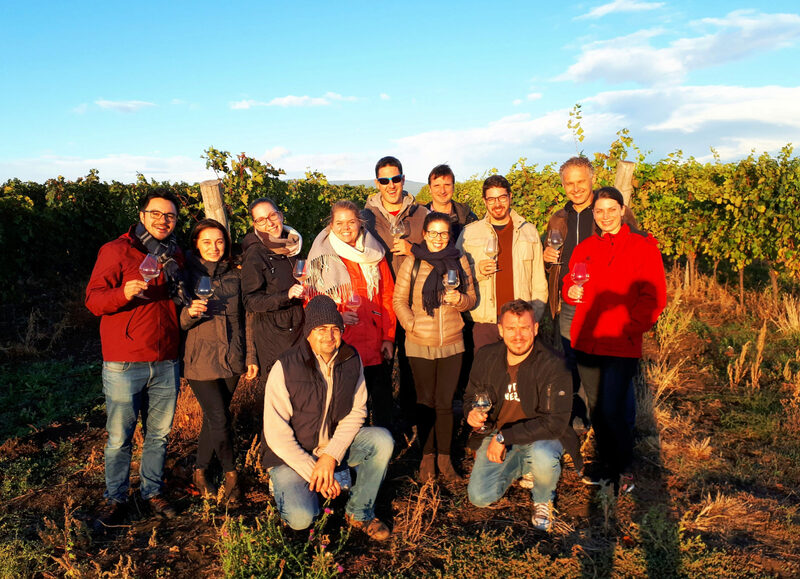 But I decided that I’ll be back to keep exploring this region, to see how it develops, and to check in on how these talented small producers progress with rediscovering the wine heritage of this region. I’ll start in Gyöngyöspata on my next trip, and maybe find the old family house. Want to taste Hungarian wines from small producers (including from the Mátra region)? Visit The Tasting Table Budapest. Order from our menu, or book one of our daily tastings: Wine, Cheese, & Charcuterie Tasting and Essentials of Hungarian Wine Tasting). Want to taste Hungarian wine straight from the source? 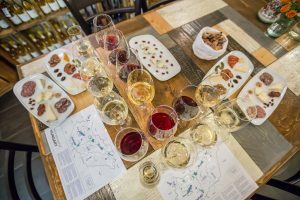 Taste Hungary has daily small-group wine tours featuring the Tokaj, Villány, Balaton & Somló, and Eger regions. We also offer daily private tours to all regions, including Mátra.